Five ways to deal with Hair Loss. Ordinally, the onset of hair loss is detected late. It comes to attention only when one finds losing hair in the shower drain. It is normal to loose approximately 50 hair every day. At a later stage around 150 plus hair is lost. At that time corrective action is the need of the solution as early as possible. The hair loss can happen for men or women which may be just a phase or a permanent occurrence. The exact reason for the hair loss is important to know for the treatment. The reason may be any one of the following: health problems, genetic problems, the shampoo or the change of environment treatment. Clean it right: Detangle your hair thoroughly and gently before you get into the washing. That way it won’t get disorganized and disordered when damp. Next, use water at the room temperature to clean your hair. If the water is too warm, it may dry your hair and add to your troubles. An essential step here is to use the right stuff for your hair washing. Use a gentle shampoo as much as possible and take time out to condition your hair. Be confident to use products that you have tried and examined before only. Last but not the least, use a hair serum after your wash to reinforce it and stop the damage. Refrain from combing wet hair. Get to the source of the problem: Androgenetic alopecia or the pattern baldness is the common most reason for the loss of hair in men and women. For the Women, it is usually at the menopause stage. The different condition can be indirect effects of short illness, tension, and response to medication. Once the reason is known, the way of therapy can chart an efficient path. Analyze medication: Consult a skin specialist before the use of medicines to try and grow the hair. There may be pills, capsules, massage oils; scalp creams just singly or together. Nearly all of them promise to solve the problem to grow the hair. Only after consultation with the physician go to the trial of the new methods. Enhance your nutrition: Change over to iron-rich diet with a generous amount of protein and zinc to stimulate your hair growth. Hereabouts is a list of foods to add to your daily intake of food: Wheat germ, pumpkin seed, shellfish, soybeans, deep colored vegetables and fruits like capsicum, tomatoes, pumpkin seeds, french beans, plums, mangoes, apples, and the prunes. Do not forget almonds, figs and walnut. Hairstyle with care: Women can start with the simple hairstyling trick of adding layers which give a sense of volume and bounce. Couple it with large curls and you have a perfect illusion of lush, healthy hair. But limit the parlor to only haircuts. Avoid the blow dry or colouring, straightening or ironing that can cause further damage. You will be astonished to remember that men on an average loose excessive hair about one and half time more than women the world over. Extreme hair fall can be the outcome of certain disorders, hormonal variations, over-use of hair goods that contain adverse substances or a meager diet. What you may not have thought is that you can also lose a lot of hair by brushing it the wrong way. Check if you’re performing these regular combing mistakes. 1. Are you combing your hair from the roots down? If you’re brushing your hair, you should regularly start from the middle while operating it to the end. Move the brush upwards (near the roots) only when there are no more knots left in the lower half. If you begin brushing from the roots, you may have to work more tangles on the way to the bottom end. Thus, causing strain on your scalp and increase hair damage. The effect is weak hair and roots and added hair drop. 2. Are you combing hair after the use of a hair product? A comb should nevermore be used just after the utilization of a hair paste, serum or lotion for handling or styling. You should use only your fingers to brush through your hair after you’ve put a styling product. If you use a comb after post-application of a styling produce, it not only fails its effect but may also wreck your hair and its balance. As a consequence, it may lead to enhanced breakage and hair failure over time. 3. Are you detangling the hair after shampooing or cleaning? Hair is acknowledged to be at its vulnerable when damp, which can also make it prone to tangling. Grooming and unnecessary pulling of tangled, wet hair enhance your chances of hair breakage and ultimate hair loss. To avoid water-induced frowns, one can try giving a comb-through ahead of soaking your hair in the shower. Otherwise, you can also try combing your hair while in a shower. Use the conditioner first; next, untangle the locks by using just your fingers, and then use a wide-toothed comb just before washing. 4. Are you frequently back-combing the hair? Seldom people back-comb their hair starting from the bottom and then towards the scalp. This way it adds volume and texture to your hair. It is a great deal; its frequent use will damage your hair cuticles and the hair structure, will result, breakage of the hair in volume. It will be fun to use a light spray and give you a look and feel with no damage. Diseases of the scalp can also be one of the factors that may cause your hair to fall at an alarming rate. Of the various scalp infections, the ringworm scalp disease is the most common. Although this fungal infection can occur in any part of your body, when it develops on your scalp, you end up losing chunks of hair. Besides the use of anti-fungal medications, even anti-fungal shampoos and creams can provide you with relief from the problem. Filling on unhealthy foods or going on a crash diet can result in the lack of necessary nutrients in the body, which are needed to maintain healthy hair. Furthermore, since hair is composed of protein, having a balanced diet consisting of proteins and vitamin-rich foods is a must. Anxiety gives rise to some ailments such as alopecia areata, telogen effluvium (hair loss caused post-pregnancy or surgery) and trichotillomania (an automatic need to pull your hair out), which can cause you to lose an additional volume of hair. To avoid a hair loss dilemma created by tension, make it a point to do some simple stress-reducing activities, such as meditation or breathing exercises. Using hair styling merchandises like hair colours and straighteners can cause you to undergo hair fall difficulties. Your hair grows not only dull and dry owing to their use but also turns weak and fragile, leading to a continuous loss of hair. Frequent oiling and use of homemade hair covers are some of the ways you can try to bar the adverse consequences of these hair styling commodities. The drugs that get used in the treatment of cancer end not only the fast-growing cancer cells, but also the right blood cells in your body. For this reason, eating foods that control cancer-fighting traits ( like garlic, oatmeal, tomato, almonds, etc.) is a sure-shot way of attacking the disease as well as preventing any side-effects that may arise because of the treatment. Ultimately, hair fall can also be produced by alopecia areata, which is a kind of hair loss that takes place when your body’s immune system erroneously attacks your hair follicles and prevents the generation of extra hair. 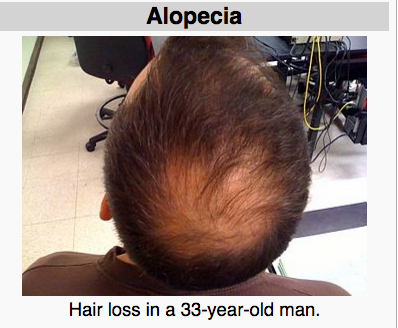 The source of your critical hair fall or baldness is traceable back to your ancestors. So, your genes can be a factor following your hair fall difficulty. If this is the case, your body then becomes unable to generate new hair. Apart from the modifications that you can make in your lifestyle to address the causes of your hair fall, there are also ways out there that you can employ to treat permanently your puzzle, such as platelet rich plasma, mesotherapy, stem cell therapy, ozone activated platelet rich plasma. 1. Unnecessary hair brushing: Here’s why brushing your hair extravagantly is grave for your hair: it produces breakage and removes your hair of its original healthful oils. To avoid this, try restricting the use of your hair brush to around just two times in a day. Brushing right after you rise is an excellent idea, as it helps in spreading the oils produced by your scalp down your hairstreak, which act as a regular conditioner for your hair. 2. Fastening your hair in a ponytail every day: If you bind your hair in a ponytail every day, then odds are you are using constant load to on the same hair streaks, resulting in fragile and weaker hair. In fact, doing so repeatedly can even delay hair growth. Try to let it remain open as much as you can, but if you definitely must tie a ponytail, then tie a comfortable one. Maybe even use bobby pins to hold your hair in place alternately of scrunchies. Shifting between high and low ponytails benefits too. 3. It is prudent and essential to keep your combs and hairbrushes clean all the time. The unclean pre-used gadgets to maintain the hair intact, need regular cleaning as the dust, and other particles contain germs are harmful to hair and the scalp. The repeated combing will retransfer the dead skin and cuticles filled with microbes. 5. Shampooing in extra: It is unnecessary to clean the scalp with shampoo every single day. In fact, the chemical in the solution damages it the by removing the natural oils that will enliven the shaft of the hair and make dry and brittle. The scalp becomes dry thus giving a rough and messy feeling. One should shampoo only on feeling that the hair is greasy or dirty. Avoid daily shampooing as the natural look gets lost. Let your hair look healthy and let your tresses look good so that they look fresh and shimmer with a real radiance. Homeopathic treatment for hair is slow but gives definite success. The reason to loose the hair vary from genetic causes to the quality of water and air and type of food eaten. The dosage of the medicine administered has many parameters to consider in addition to the given above. The results are more than satisfactory but slow to come. See some of the known drugs detailed here. 1. Lycopodium: Give this dose to those who are experiencing early balding, covering pregnant women and new mothers. The solution is made from the spores of plants like club moss and is effective on both male and female. 2. Silicea: this is made from sandstones and individual tissues and happens to be one of the most well known homeopathic medications. It assists in making the hair stronger and nourishing the hair, thus taking its aridity away. 3. Natrum muriaticum: The drug obtained from table salt, helps in hair growth for those cases of hair loss following from dry scalp and dandruff, skin and monthly problems. Women experiencing menstrual problems also suffer from hair loss. The medicine is prescribed to them as well. 4. Kalium cabonicum: It is prescribed a lot, mainly to stop weakening of hair, aiding the growth of hair in this process. It also cures brittle hair condition. Kalium cabonicum gets manufactured from the mixtures which are used to make glass in Egypt. 5. Phosphorus: Scalp complications at times occur in loss of hair in chunks. Phosphorus gets directed for such conditions. 6. Kali sulphuricum: As the name imply, parts of this medication is sulphur. It is available in both the fluid and tablets forms. The Homeopath Practitioners advice that they should not be taken more than twice a day and should get stopped after taking for a couple of weeks. The Ayurvedic system has formulas to enhance the hair growth. Applying coriander juice has natural and essential nutrients to the scalp on a regular basis will boost the hair growth and control the loss of hair. One has to let the scalp remain in this state for an hour before shampoo. Follow the procedure on a weekly basis to get a bouncy look with the hair. Greying hair is natural, but it disturbs a lot when this occurs early. One feels self-conscious but need not worry. There is more than one reason for hair turning grey. They could one of the following or more than two at a time. Deficiency of vitamin B 12, albinism, not enough hair care, hypothyroidism, pollution, smoking much, hereditary causes, aging and stress. 1. Take pure ghee on your fingertips and massage into your bare scalp twice weekly. 2. Scrubbing the onion juice is a good way to decrease grey hair. It is also a reliable way to reduce hair loss. 3. Shikakai is acknowledged to be a beneficial herb for our hair. You should put about four pods of shikakai with soap nut seeds in a jug of water. Left overnight and boiled in the morning. Decant and secure the decanted water in a bottle to be used as an herbal shampoo. With this, you can utilize water in while myrobalan (amla ) is boiled, as a conditioner. 4. Boil Mustard oil 250 gms mixed with 60 gms henna leaves. The mixture of oil, when applied to hair at regular interval of two days, shall reduce the greying of hair. 5. Bhringraj oil is also great for hair. Bhringraj can be used orally for the same desired effect. 6 A glass of fresh carrot juice ( 250 ml ) is said to surmount the problem of grey hair. 7. A mixture of a solution made from Yogurt, Cofee, mint juice, a mint juice, a paste out of basil leaves and henna powder when soaked over the night will work wonder and reduce the grey hair.